I can’t have been the only one to have visited Hendon a number of times over the last few years and only manage to get into the elusive Grahame-White factory once. Up until recently this wonderful 1915 building only opened once or twice a week and only for short periods of time. I always felt this was a shame as it contained some truly amazing exhibits. 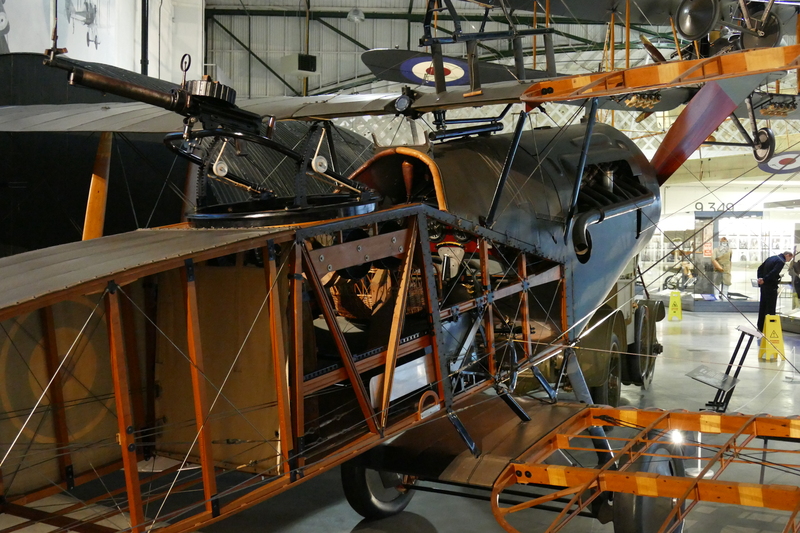 Luckily at the start of this year it was announced that the hangar would be having a massive revamp in order to tell the story of the First World War in the air. The artists impressions of the room showed that a few of the aircraft would be being hung from the ceiling, always controversial. 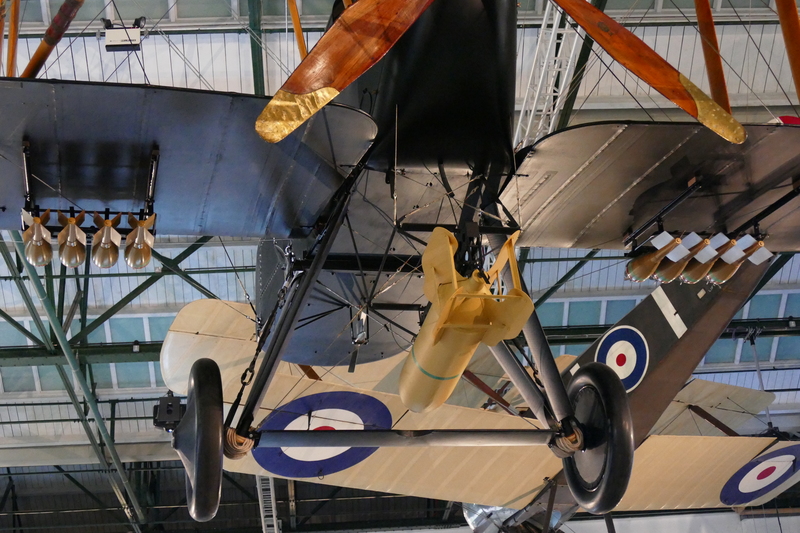 The Hanging aircraft provide some interesting angles. 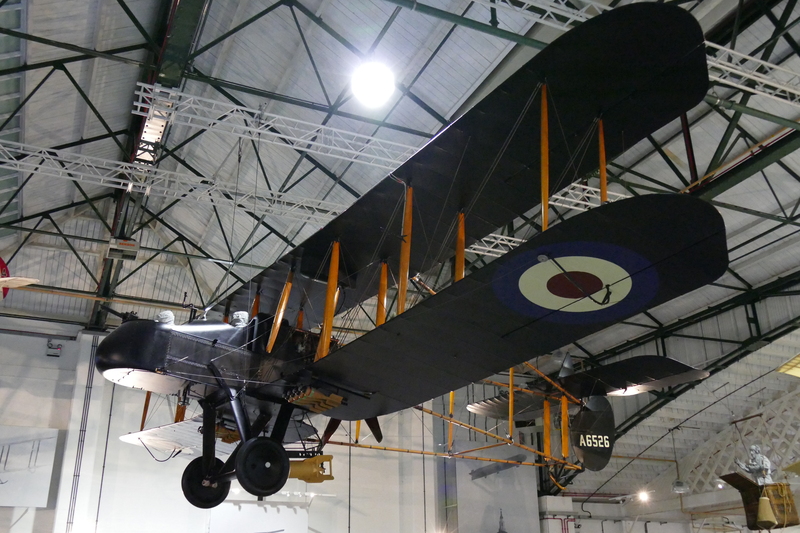 As this year went on I started growing restless waiting for the new project to open, I’d developed a new found interest in the first world war aircraft and the hangar at Hendon holds some of the rarest in the country. The new display finally opened its doors on the 4th of December and I managed to get up to visit on the 5th. Walking through the First World War aircraft factory you’re greeted by period features including the original switchboard from the factory. 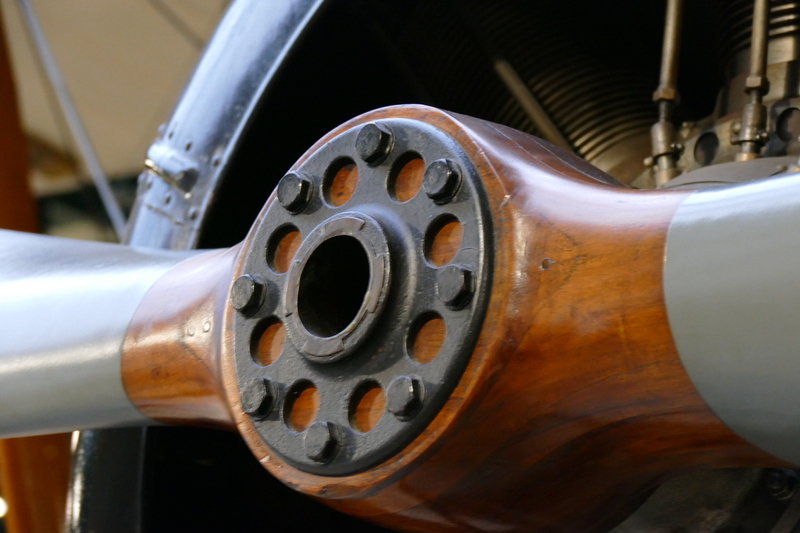 A close up of the Bleriot’s engine. 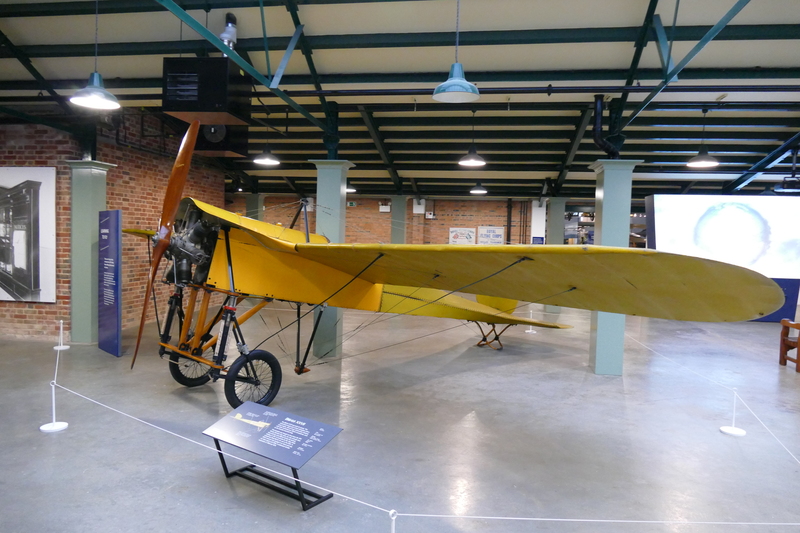 The first aircraft you come across is a Bleriot XXVII racing aeroplane, which would have been used as a training aircraft at Hendon during the pre war years, next to the Bleriot fitted in between the columns of the building sits an Avro 504 another trainer for the aces of the Great war. 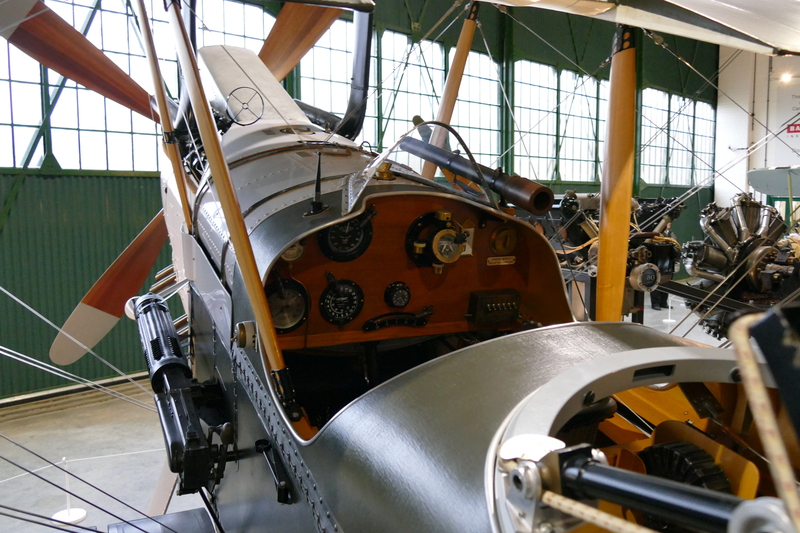 Where this display really comes alive is when you walk into the main hangar, you are greeted by the impressive sight of aircraft wherever you look. 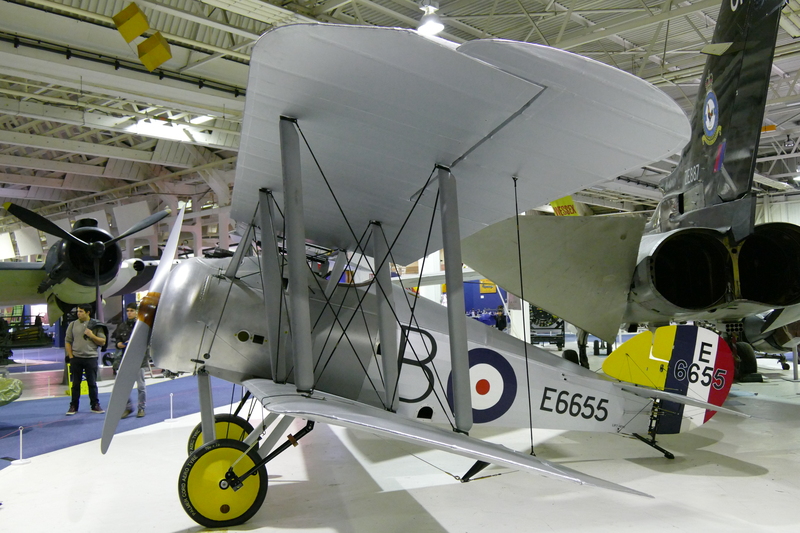 The most impressive aircraft is the wonderful Bristol FE2B which imposes itself across the room from the ceiling. The FE2B dominates the overhead. The FE2B is one of the aircraft I was really looking forward to seeing, as such I was concerned about its positioning but it actually provides some interesting viewing angles of the strange looking aircraft. 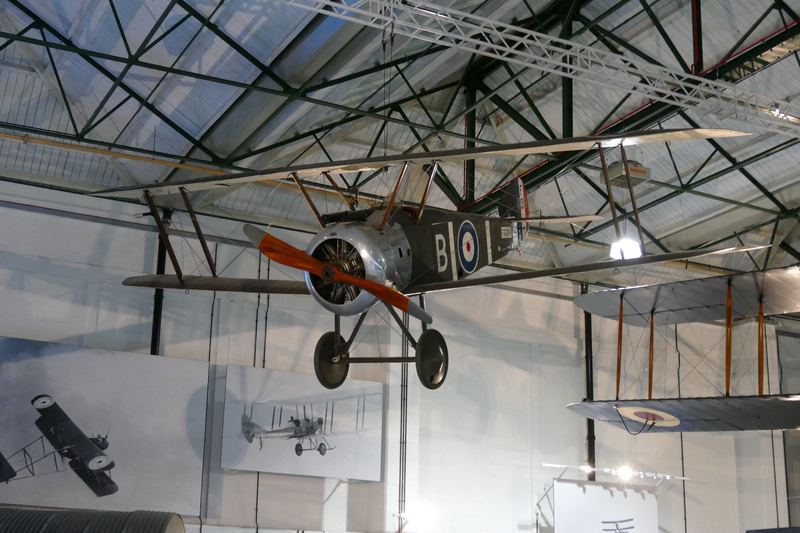 Joining the Bristol on the ceiling is the equally rare Vickers FB.5, another pusher design as well as a Sopwith Camel and Fokker D.VII. 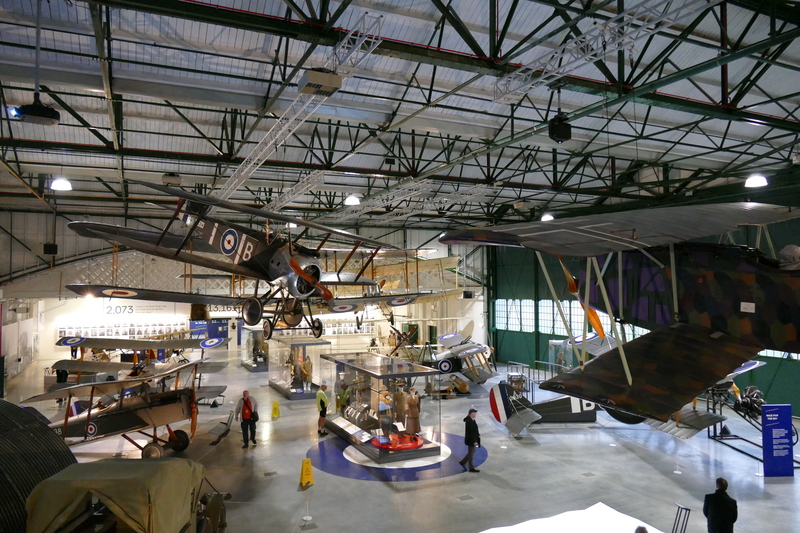 The Fokker and Sopwith can be viewed at closer quarters by heading upstairs through the old factory office to the viewing platform. This viewpoint offers impressive views right across the exhibition. A wider view of the exhibition form the viewing platform. One of the bonuses to having aircraft on the ceiling is that there is more space around the remaining aircraft, allowing up close viewing all the way around the aircraft. This is a joy particularly on the RE8 where a viewing platform has been installed allowing visitors to look right into the aircraft’s cockpit. The impressive close up view of the Re8’s cockpit. 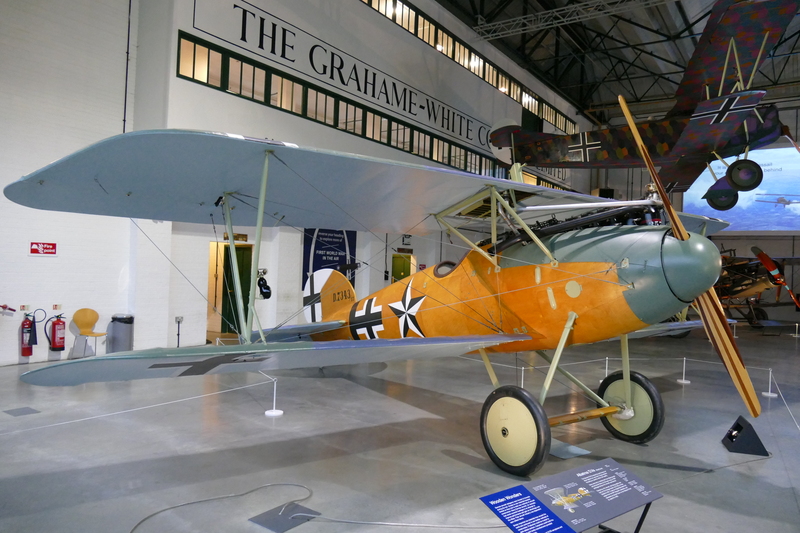 In between the aircraft there are display cabinets filled with artifacts and photographs from the conflict including a number of aces medals and part of an aircraft flown by The “Red Baron”, Manfred Von Richthofen. 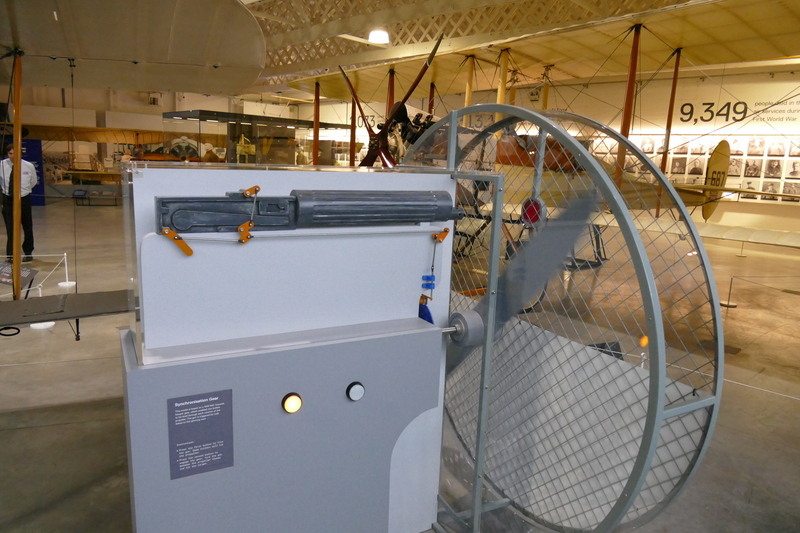 As well as home front displays, showing what civilian life was like during the war, there is also a unique representation of the interrupter gear system. A difficult mechanism to explain, but this moving model seems to do so with ease. The moving model demonstrating an interrupter gear. 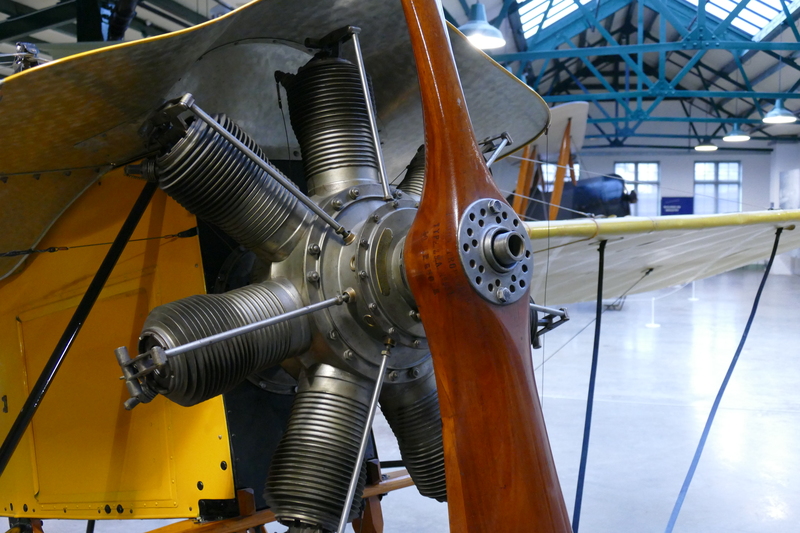 As well as the aircraft mentioned above access is also given to a Sopwith Triplane and Dolphin, Se5a, Be2, Albatros, Caudron C.3 and a wonderful cutaway Bristol fighter. The quality of the restorations and in some cases recreations that are on show here is astounding. What the RAF museum has managed to do with this exhibition is focus in on one small part of a major conflict and without any doubt deliver an informative and very engaging display, one could easily spend an entire day just exploring this hangar with the eye often being drawn across the room. It is great to see this historic building finally getting the treatment it deserved as well as telling the important story of those early First World War pioneers, well worth a visit. 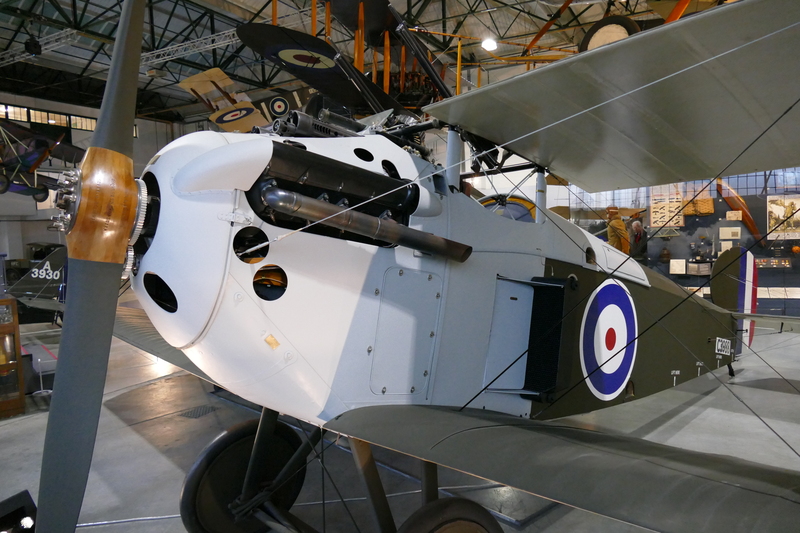 I have included some pictures of two other first world war era types which can be found in Hendon, notably the Sopwith Snipe and DH9. 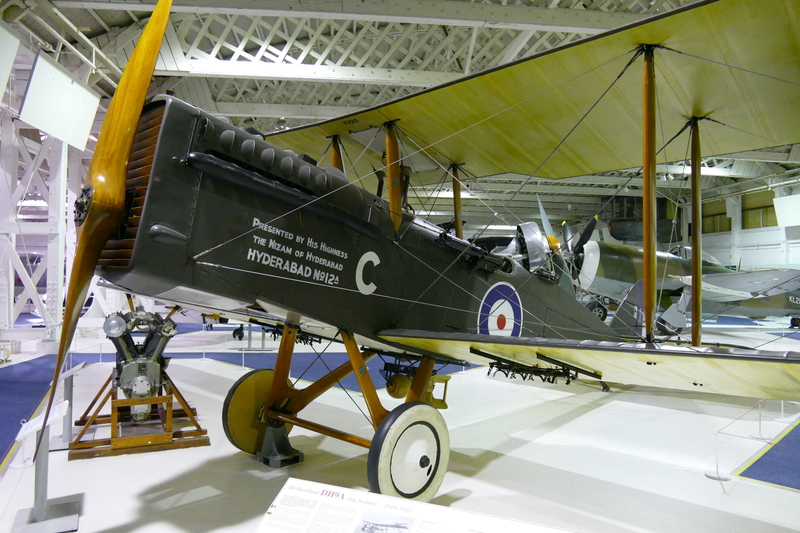 I hope to put up another post taking a more in-depth look at the histories of the World War 1 aircraft at Hendon in due course. Once again, don’t forget to follow Warbird Tails on Twitter and Facebook. Nice review! I’m looking forward to revisit Hendon!